Post 68 - Leland, NC! URGENT NEWS TO POST MEMBERS!!! Please review these time sensitive reminders! 1. 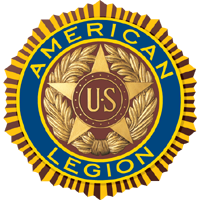 Post-68 Elections: Post 68 will conduct annual elections at the May General Membership meeting on May 16th, 2019. Pls let the Adjutant Dan Dodge know if you would like to sign up to volunteer and he will get your name and contact info to Lane. Please also indicate your preferred shift AND T-SHIRT size! CONSOLIDATED MONTHLY EVENT TABLES HAVE MOVED! Charters of Freedom Gala: The Service Officer of Post-543 (Paul Witmer) sent information that the Brunswick County Commissioners are supporting the “Charters of Freedom” being installed in front of the Brunswick County Court House. (This is a Donation ONLY supported project, and will not use taxpayer funds.) And, we are asking all Veterans in Brunswick County to support this Project to bring the “Charters of ”here. COUPS for TROOPS: The Leland Senior Center is collecting grocery coupons for our military families overseas. Please drop off any coupons such as from the newspaper at the collection box (picture in link above) at Leland Senior Center. About once a month the staff cuts out the coupons and sends them out. The Red Cross is looking requesting members to volunteer as drivers to deliver blood products to local area hospitals. If you are interested, check out the website and call Katherine Crocker, Sr. Volunteer Specialist at 910-315-8571 or Katherine.Crocker@redcross.org. Get copies of your DD214 and other Military Records from the National Archives! For Vets who served after year 2000, Anita Hartsell may be able to look up your info. American Flag Retirment Collection Location is at ACE Hardware in Leland on River Drive. Post 68 will collect and retire them honorably.